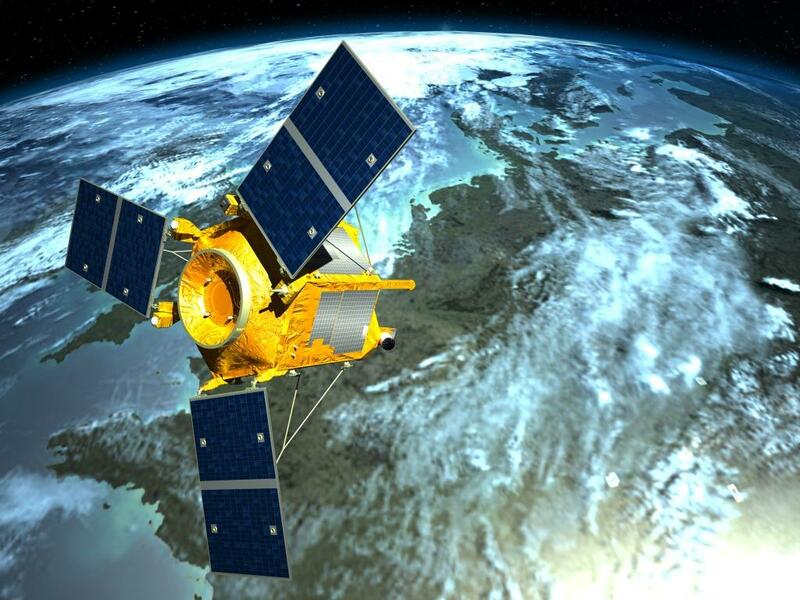 Azerbaijan’s National Satellite Operator Azercosmos has signed a strategic cooperation agreement with French Airbus Defence and Space Company to take over the rights to operate and commercialize the SPOT 7 high-resolution optical Earth observation satellite and to rename it as Azersky. The agreement was signed in a ceremony attended by Azerbaijan’s President Ilham Aliyev at Bakutel 2014 Telecommunications and Information Technologies Exhibition on December 2. This deal is an important step in the development of relations between Azerbaijan and France. “This agreement is an important step taken by Azercosmos to diversify our satellite services and bring additional value into the economy of Azerbaijan; and we are glad that Airbus Defence and Space is with us through this challenging journey,” Azercosmos CEO Rashad Nabiyev noted. The SPOT 7 high resolution (1.5m imagery products) optical Earth observation satellite was successfully launched on a PSLV Indian launcher on June 30. It has been designed to survive harmful space conditions for at least 12 years. The long-term strategic cooperation between two parties also includes joint operations of Azersky of Azercosmos and the SPOT 6 high-resolution (1.5m imagery products) optical Earth observation satellite of Airbus Defence and Space in a constellation to provide superior service. Moreover, the ground segment to be constructed will allow Azercosmos to access images acquired from Pleiades 1A and 1B, very high-resolution (0.5m imagery products) optical Earth observation satellites commercialized by Airbus Defence and Space. This satellite constellation opens up new opportunities for many applications, providing the latest images within an unprecedented time frame. The combined acquisition capacity of Azersky and SPOT 6 is equal to six million square kilometers per day – an area ten times the size of France. This means that every day, every point on the globe can be viewed in high-resolution by the Azersky and SPOT 6 satellites. Azersky has a broad range of applications including defense and security, emergency response, exploration of natural resources, maritime surveillance, sea faring, environmental protection, urban planning, cartography, agriculture, and tourism. During the next 1.5 years, more than 25 Azerbaijani professionals will be trained in France on optical satellite operations, product development, sales, and marketing of Geo-Information services. This agreement also marks Azercosmos’ entry into the commercial business of Earth observation services, including Geo-Information services. This will strengthen Azerbaijan’s position among the limited number of countries rendering satellite services. Azercosmos is the first satellite operator in the Caucasus. Azerspace-1, the telecommunication satellite operated by Azercosmos, provides highly-reliable broadband and broadcast solutions to its customers in Europe, Africa, Middle East, the Caucasus, and Central Asia. The satellite which will operate in the orbit for at least 15 years was launched in February 2013 and is equipped with 36 transponders: 24 in C-band and 12 in Ku-band at 46° East longitude. Strategic development plans of the company include launch of the second telecommunications satellite and establishment of commercial business of Earth observation services in upcoming years.